Captain Cannabis creator Verne Andru proudly presents the world-wide release of the one that started it all, Captain Cannabis No. 1! Captain Cannabis No. 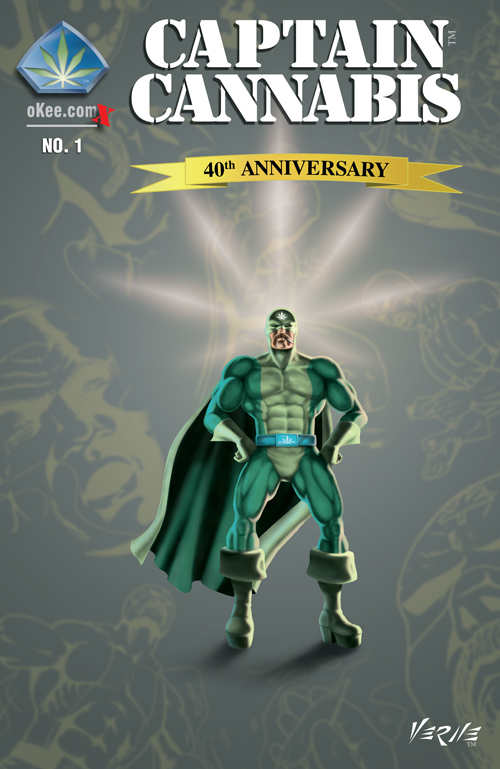 1 40th Anniversary edition brings the original 1977 Captain Comic book into the 21st century. Creator Verne Andru painstakingly digitized, cleaned up and airbrushed the original 16 black-and-white artwork pages giving them a vibrancy and polish that makes the story seem to jump from the pages. He took the same care with the story, taking several continuity passes ensuring this epic story starts with a bang! Filling out the book is a seven page story by Verne Andru titled "Angel." Written and illustrated after Captain Cannabis, it follows the lone survivor of a space shuttle crash struggling for survival on an alien planet armed only with her wits. As a special treat, the last 3 pages feature artwork by artist extraordinaire George Freeman. Angel first appeared in "The Canadian Graphic Collector #4" during 1978. Destined to be a collector's item, get yours while they're hot! - Available online and in select stores.